Do you remember the days before email, Facebook and Twitter? I’m so old, I remember the days before PCs! These amazing changes have occurred in the days since I attended college, some 25 to 30 years ago. My college years were precious letter-writing years. I have a huge box full of letters in the attic. It was my first time away from home so my parents, Grandma, my loving siblings , cousins and a few friends would write to me. I cherished those letters at the time and cherish the memories they preserve now. This past summer I lost an old friend in a tragic car accident. I had lost touch with her so I went up in the attic to see if we had written during college. We hadn’t. But I found one amazing piece of wrapping paper she made with all of our high school memories written on it. 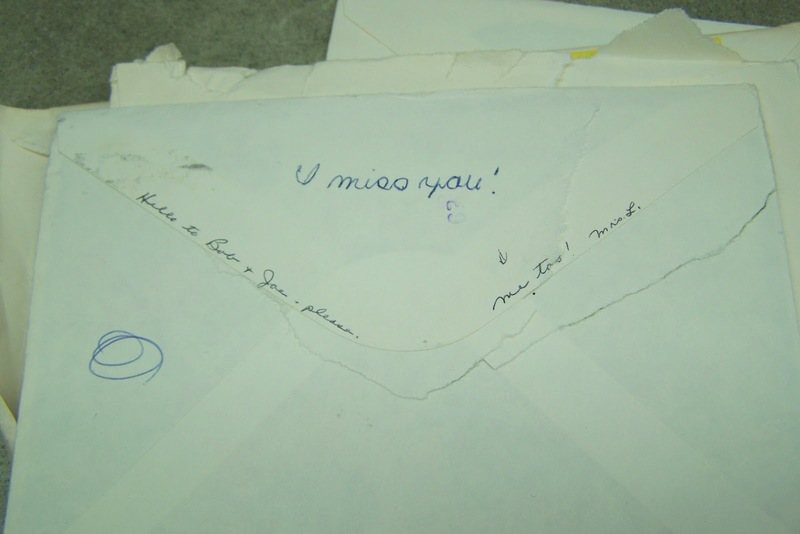 I found the letters my dad wrote to me – often scribbled on little post-it size notes. I loved that my dad wrote me his own, personal letters. (I loved the money he would stash in there, too!) Mom often typed her letters since her lefty, shaky hands maker her writing illegible. My best friend growing up would write “books” to me. Long, funny letters – usually about the men in her life. I wrapped up all those letters and gave them to her for her 40th birthday! And then I came upon this stash. Yes, I knew her before she was a famous blogger: Sarah, of Clover Lane. Recently, I sent her these amazing letters that she wrote me so many years ago! 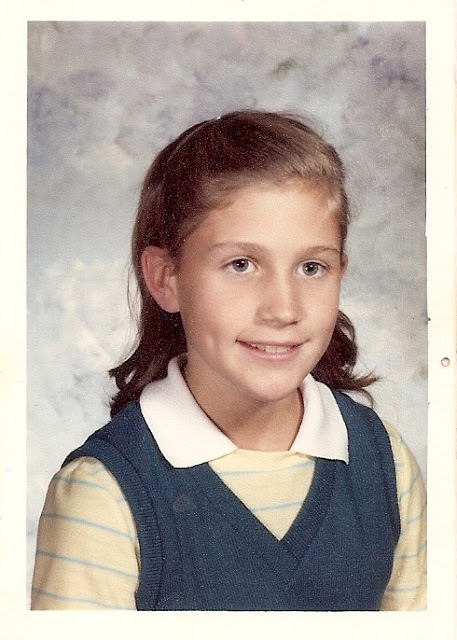 I attended an all-girls Catholic high school. There was an elementary school up the hill – both schools taught by the lovely Sisters of Notre Dame. When I was a senior attending retreat, I received a beautiful note from a 6th grader at the elementary school. That 6th grader was Sarah. I don’t know if I had the original note, but I’m sure she said that she would pray for me. In those days, a nice note always deserved a note in return. And so, a type of pen-pal friendship was born. Remember, we were six years apart, but a true friendship developed between an emerging young adult and a quiet, shy, young girl. 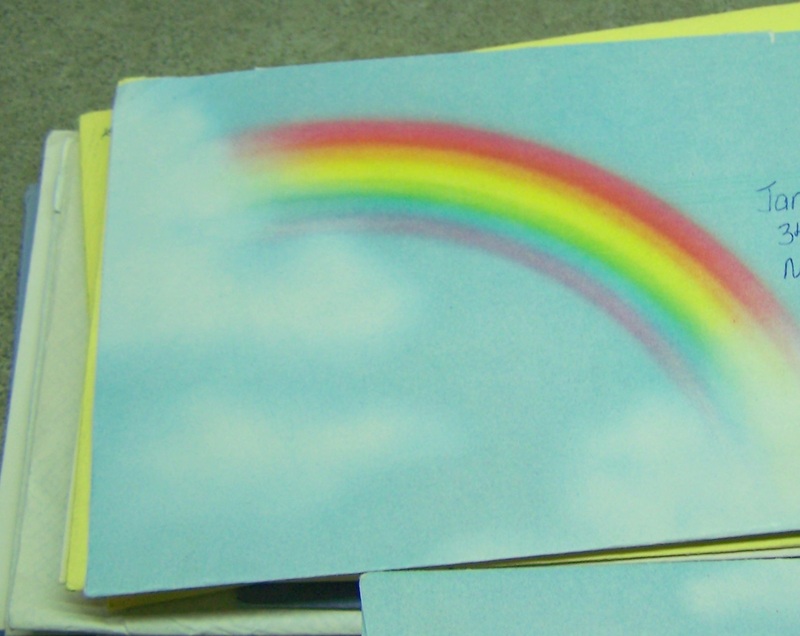 We both loved rainbows and shared lots of them through the years. Perhaps a sign of our optimism. I loved the drawings and surprises I would find. Even her mom would jot a note down on the flap on occasion! Sarah had beautiful handwriting – can anyone write like that today? She would describe things so eloquently. I remember the first time I went to her amazing log house in the woods. For a city girl, this was really the woods! She even wrote a poem for me…. who happens to be walking by. something that is very hard to explain. Isn’t she beautiful? These photos were probably 6th and 7th grade, around 11 to 12 years old. red if I could give them up. A flood of memories came over me. – she prayed for me – a lot! I think that’s what got me through college! – I am Sarah’s Confirmation sponsor. I feel terrible that this fact had slipped my mind. I think that her mother stood in proxy for me because I was away at college. – I enjoyed my time with Sarah. I was the youngest of six kids who grew up in the city. Sarah was from a family of five kids who lived in the country. We were an interesting pair and it was easy to see that “the grass was greener” on the other side. I longed for her quiet lifestyle. Since I had no younger siblings, she even came to visit me at college for “Little Sibling Weekend.” I look back and wonder how we organized events before email and cell phones! Well, often we wrote letters! We would suggest dates and times and then we would follow up with phone calls. Today, our children create Facebook events to plan get-togethers! Yes, it is a different world. Somewhere along the way, our letter-writing stopped. Perhaps it was when I started working and then Sarah was heading off to college. I have not seen her for 20+ years, which is hard to imagine because I feel like I’ve known her forever. Somehow we found each other again – whether through Christmas cards or email and, of course, her beautiful blog. Now we email on occasion. It’s amazing how I look to her for advice and support on family issues. It’s amazing how two quiet, shy girls grew up to be strong, opinionated mothers! Thank you, Sarah, for being a beautiful friend. How cool that you saved those letters all these years. 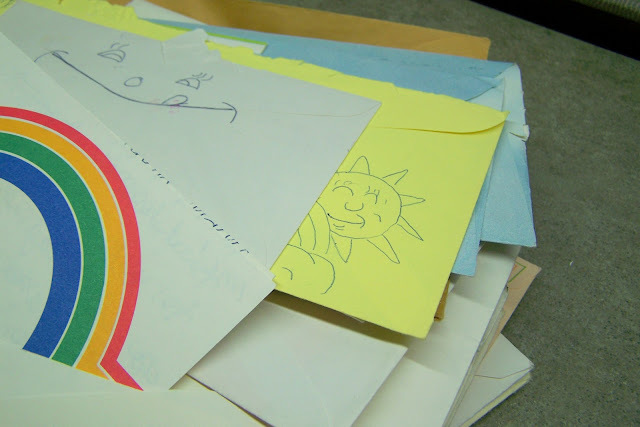 I also have saved letters from my dad and friends and my mom saved letters written to her. I also have postcards that my grandparents wrote to each other before they were married. Oh gosh! You make me cry…and laugh at the incredibly eloquent poem I wrote. Jane, I worshiped the ground you walked on…you can ask my mom if you don’t believe me. I even saved up and bought a bottle of hair potion from the back of some magazine, so I could grow my hair down my back just like you had. You were pretty, and smart and confident, and GOOD. Really really good…and how could anyone have a better role model than that? And still…here you are now, still a friend and a role model: a reminder to me of all the RIGHT things in life. Thank you so much…I remember ALL that stationary you know? The rainbows and leprechauns and flowers…I only bought stationary for the sole purpose of writing to you. Our emails to each other now all disappear but we will always have those letters! What a lovely post Jane. Makes me wish letters were more a part of growing up for me. The change from phone/letters to phone/email instant chat and now to texting happened so fast! That is such a beautiful post. Thank you so much for sharing your friendship, your experiences, and your caring relationship for each other with all of us. what beautiful treasures you stumbled upon! 🙂 She definitely had gorgeous handwriting and you’re right, does that even still exist? Love the poem that she wrote too. Letter writing still exists. i am an example of that. I still correspond with at least one of my pen pals from when I was in high school via snail mail and email as well. I used to save all my letters from everyone but due to space issues had to get rid of a lot of them. What a wonderful trip down memory lane. 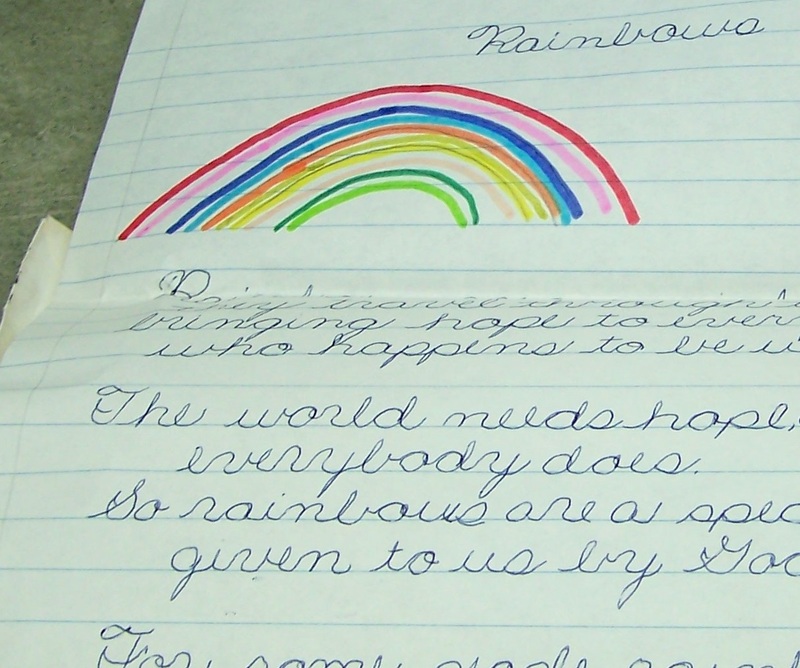 Your friends must have loved receiving those letters they wrote in their youth. I can’t believe you saved them all these years! Beautiful post. I only graduated from college a couple years ago, but I am happy to say I have a pen pal! Even a Tweeting, Facebooking, social networking kid like me writes letters. This is amazing! It makes me want to go find a pen pal immediately. 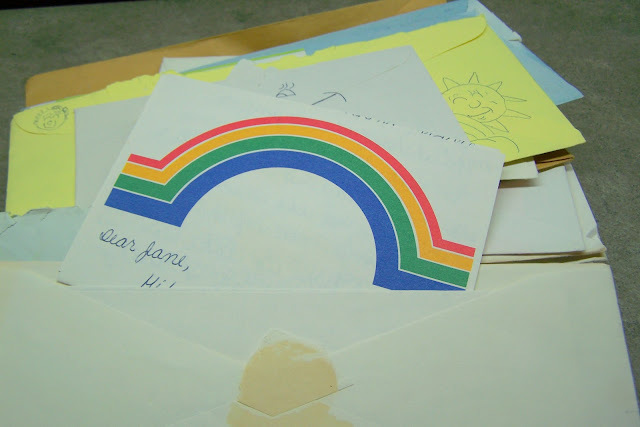 I swish I had saved some old letters from when I was a kid, now I am sad that i didn’t! Oh my goodness … this post needs a Kleenex warning! Such a beautiful post. 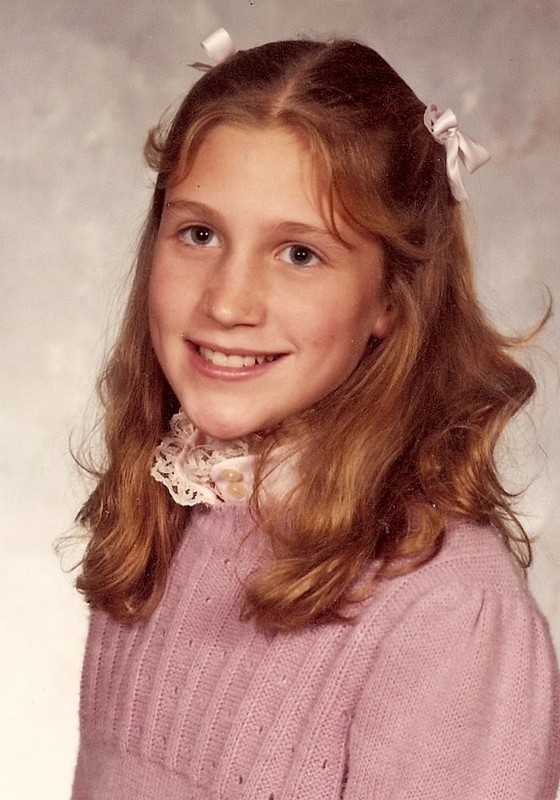 I share so many similarities with you – the fact that I remember the days BEFORE PC’s =D; so many friends that I used to keep in touch with via pen and paper, Catholic school days; and Allie, a young lady that I was a Confirmation sponsor for. My youngest will be confirmed this year and as part of the Confirmation process, the Confirmandi’s family and friends write letters that they read on their retreat. 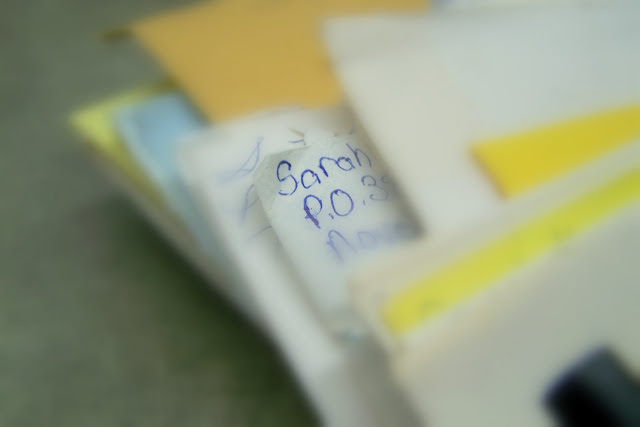 Cara received many letters that I am sure she will cherish forever. So special, and so true. 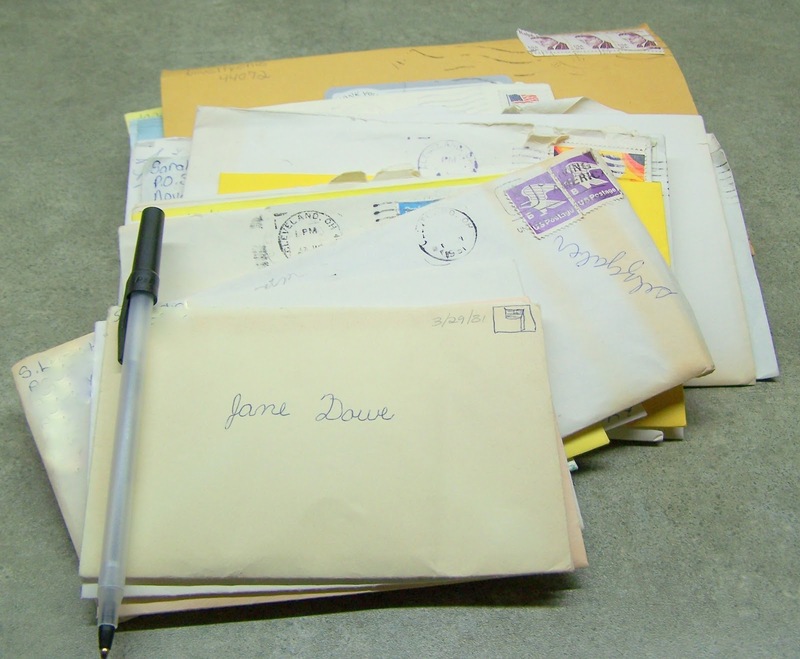 I remember saving all my letters in a box under my bed growing up. My parents moved from that house 13 years ago, and I have no idea what happened to my letters. What a special friendship you have. What a beautiful friendship story! Thank you for reminding me of the lost art of letter writing. I love this!! I have a box of letters at my parents house. Full of memories, I haven’t looked at them in years, but know they are there. My husband is far from keeping such things, and I’ve been thinking I really should be less of a packrat and lighten my load. Now.. I’m thinking I should keep them very safe! What a sweet, sweet story!